Recently retired associate professor and chair, Master of Science Instructional Technology and Advanced Diploma School Leadership and Technology, New York Institute of Technology. Experience in curriculum development, special needs, program evaluation, assessment and grant proposal preparation. Is Technology Instruction in Teacher Education Programs Too Narrow to Meet Current Needs? Dr. McPherson is president of EDA Solutions LLC, a private educational consulting firm. Formerly Dr. McPherson served as chair of the master’s in Instructional Technology and coordinator of the School Leadership and Technology Advanced Diploma program. She teaches instructional technology courses, primarily fully online, (currently as adjunct faculty). She collaborates on projects with the NYIT School of Engineering and Computer Sciences (SoECS) to promote K-12 STEM education. She served as evaluator for two SoECS NSF grants: 1) Transforming Undergraduate Education for STEM (TUES) (2011-2014) to develop undergraduate curriculum culminating in the Engineering Senior Design project; and 2) Research Experience for Undergraduates(REU) (2012-2015), a summer enrichment program designed to promote undergraduate research in computer science which was renewed for an additional 3 years (2016-2019). She also served as an educational consultant/evaluator for an international project with SoECS called Cleaner Production in the Americas (2012-2015), funded by the U.S. Department of State. As part of that grant she conducted workshops in Lima, Peru, and San Pedro Sula, Honduras, on developing student learning outcomes and competencies. She also served as a Microsoft Advisory Board for Higher Education Initiatives and as a Distinguished Faculty Fellow provided workshops on Technology Enhanced Instruction in international venues such as Indonesia, Australia, Mexico, Thailand, and South Korea. She has presented on instructional technology, online learning, STEM, Universal Design for Learning, and workforce development competencies at national and international conferences, such as the International Society for Technology in Education (ISTE), E-Learn, Hawaii International Conference on Education, American Education Research Association, the IEEE STEM Education Conference and the Society for Instructional Technology for Teacher Educators (SITE). She is the current co-chair for SITE Assessment/Portfolio SIG. 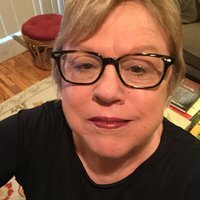 She is recent past president of the ISTE Special Interest Group for Teacher Education (SIGTE),currently called Teacher Education Network (ISTE TEN). She is past president of the Long Island Chapter of Council for Exceptional Children and was recently reappointed for a four-year term to the Selected Improvement/Transformative Initiative of the CAEP Accreditation Council. She holds a Master of Science is in Reading and Doctorate in Special Education, both from Johns Hopkins University. Recent Projects/Research • Curriculum enhancements for engineering curriculum and instruction, research experience, experiential learning and evidence of workforce competencies. • Educational impact of cleaner production curriculum and instruction on institutions and small/medium businesses in selected countries of Latin America. • Collaboration with faculty in other Teacher Education program to develop Technology Standards for Higher Education Faculty. • National Commission for accreditation reviews. Development of programs on Long Island to address educational issues for students with special needs.